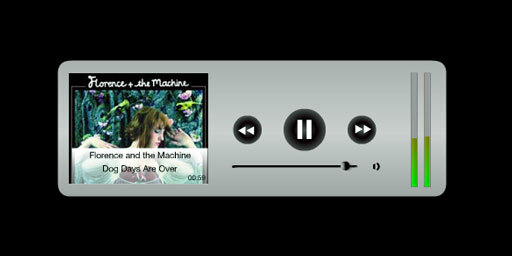 The assignment for this educational project was to create a fully functional audio player that plays external MP3 files loaded from an XML source coded in ActionScript 3.0, implementing Object Oriented Programing methodologies. 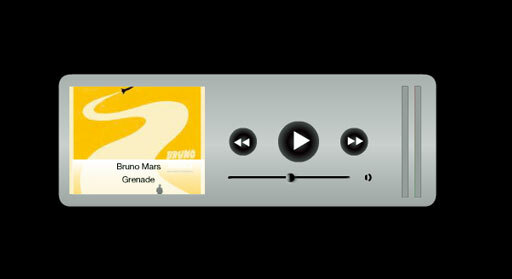 The graphical user interface (GUI) was modeled after the AppleTV candy bar remote control, and was created within the Adobe Flash IDE. The code was created inside Adobe Flash Builder utilizing best-practices and Object Oriented Programing.